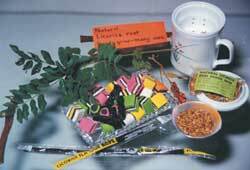 Licorice will do well in temperate, warm and sub-tropical climates; also in tropical areas provided the soil is free draining during wet humid weather. 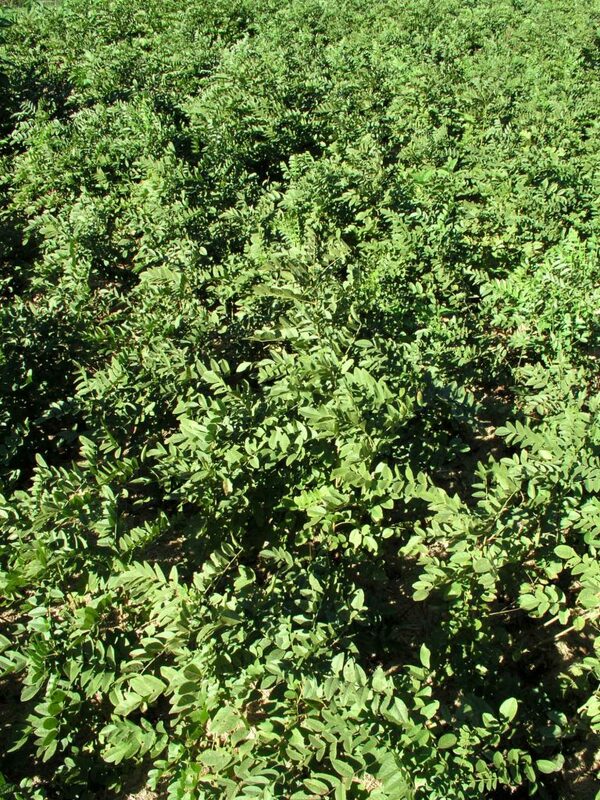 Licorice is not bothered by frosts, as it is dormant in winter, and actually benefits by the defined cold period, which induces the translocation of properties to the underground rhizomes. If plants are mulched thickly, to deter weeds and retain moisture, they will require little attention; but do take time to talk to them and encourage them to produce lots of yummy roots. Roots are dug, washed, and dried in the sun, shade or artificially. Fresh roots are pliable and cut easily. Once dried, roots must be stored away from heat, light and moisture (moisture from the atmosphere can cause mould to grow on roots), and the roots will keep their properties and flavour indefinitely. Licorice can be called a survival food, not only because it stores well, but for its use as a sugar replacement, a refreshing beverage, and its potential to quench the thirst, allay hunger, and its benefits for endurance. There are over 15 species of glycyrrhiza, but not all have sufficient sweetness to be of commercial use, or recognised for medicinal use. Licorice has been given many remedial applications: coughs, colds, wheezing, lung complaints, hoarseness, mucus congestion, tonsillitis, abdominal pain, nausea, poor appetite, fatigue, food poisoning, fevers, fluid retention, edema, burning urine and kidney, bladder ailments, gall stones, allergies, cancers and melanomas, conjunctivitis, earache, toothache, age spots, senility, hyperglycemia, menstrual discomforts, vaginal thrush, endometriosis, infertility, candida, ankylosing spondylitis, muscular dystrophy, skin allergies, hemorrhoids, mouth ulcers, nervous tension, insomnia and anxiety, depression, hysteria, indigestion and gastritis, diabetes, drug withdrawal, malaria, inflammations, cramps, Addison’s and Parkinson’s diseases, epilepsy, poor circulation, to lower cholesterol, headaches, earache, herpes, wounds, burns, cold sores, psoriasis, carbuncles, syphilis, abscesses, shingles, and to fight staphylococci. 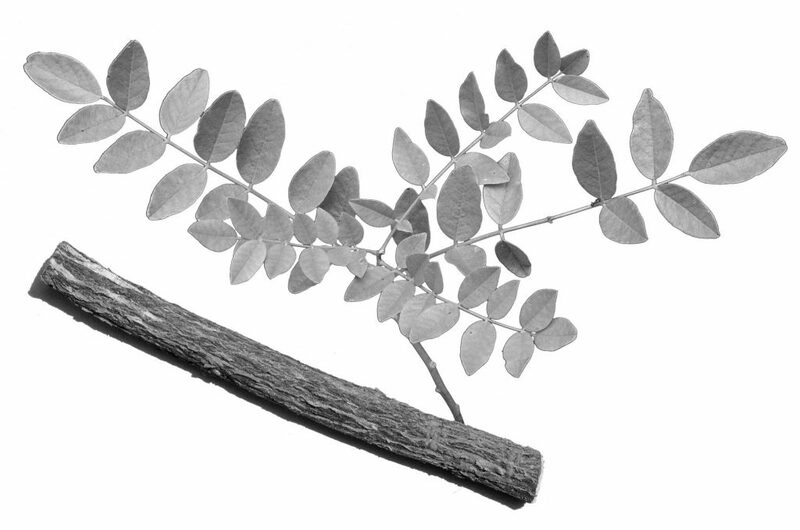 Licorice infusion as a wash has been used on acne scars.